Mark Donnellan 6 (7) – one-on-one save prevented it being a lot worse. Distribution patchy at times but Fermanagh very strong around the middle. Mark Dempsey 6 (7) – very little marking to do and generally stayed back minding the house. Mick O’Grady 5 (7)– nothing like the dominant performance he gave against Cork. Tried to get forward from time to time but didn’t create much. * David Hyland 7 (6)– Thought in the first-half he was the one trying to do something different to get a stir out of his colleagues. Made a couple of good moves along the right earning the first free that got us moving. In the second half his pass earned Fergal Conway his mark. Pity we didn’t engineer a few more. James Murray 5 (7) – Didn’t do much wrong but equally didn’t contribute as much as a wing back needs to in these games – stark contrast with Fermanagh’s number 5. Played conservatively but suspect that was under instruction so that Hyland and Doyle could push forward. Eoin Doyle 6 (6) – not as dominant or influential as in the previous two. Has to bear some responsibility for the ease with which Fermanagh penetrated us on the break. Keith Cribbin 4 (6) – extremely poor. Seems to have lost some of that blistering pace. Inclination to “get involved” with his marker in off the ball stuff is getting boring and doesn’t help the cause. Kevin Feely 5 (6) – We needed him to take more responsibility for shooting. He wasn’t alone in that. Thought he might have rotated into full forward more often considering he’s had plenty of practice. This was one game it could have been worth a try. Aaron Masterson 6 (7) – some some criticism online but I didn’t think it was warranted. This was his first start and he applied himself better than some around him in my eyes. Yes he made mistakes but no lack of effort. Another who could have spent some time “in around the house” a bit to keep Fermanagh on their toes. David Slattery – 5 (6) – saw his limitations on the one occasion he attempted a kicked pass and gave away possession. Worked hard as always but gives us nothing in terms of scoring, in contrast to the match-winning supersub who emerged two years ago. Hasn’t scored in his last eight competitive appearances (though five were as sub). Fergal Conway – 5 (7) – trod a thin line from a disciplinary perspective again. Centre forward not really his forte and perhaps could have helped out more around the middle where Fermanagh were dominant. Scored two but we needed more from him in attack. Conor Hartley 4 (6) – Struggling to make any impact this season. Taken off early again. Adam Tyrrell 5 (6) – not working out for him so far on his return to the panel. Not getting into any scoring positions. Needs to be contributing scores if he’s to continue in the side. Ben McCormack 5 (7) – I didn’t see the start of the half-time flare-up that saw him booked, leading to his late sending off ultimately, but again Kildare’s discipline lets us down. Didn’t score in the game either when we needed the likes of him and Neil Flynn getting on the ball in the right areas. Collectively the inside forwards and those further out couldn’t make that happen. 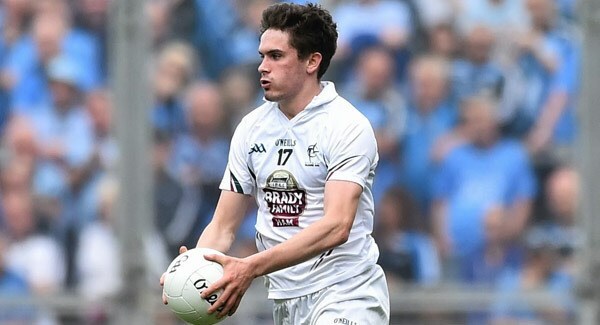 Neil Flynn 4 (6)- one of his poorest showings in a Kildare jersey, Attempted a fisted point from a long way out and shot another wide in the first half. Didn’t get a shot at the post other than frees in the second. Cian O’Donoghue 6 (6) – brought a bit of pace and strength to the attacks briefly on his introduction but it petered out. Jimmy Hyland 5 (6) – won a few balls but unable to wriggle free enough to have space for a shot. Tommy Moolick – 5 (6) – One half chance for a goal late on when he gathered on the end line but fouled the ball. Fionn Dowling – 5 (6)- Hardly touched the ball in his fifteen minutes on the pitch.